A new series featuring intimate interviews with Irish personalities kicks off on Newstalk tonight. The Barry Egan Tapes sees Sunday Independent journalist Barry Egan chatting to guests including Damien Dempsey, Camille O'Sullivan, Victoria Smurfit, Louise O'Neill, and Stefanie Preissner. Barry talks to his guests for 30 minutes each about the influences in their lives and what inspires their creative interests. The first episode of the hour-long special airs at 9pm and Barry reveals that Dempsey 'sings Frank Sinatra and talks about having visions and living with a ghost in his house'. 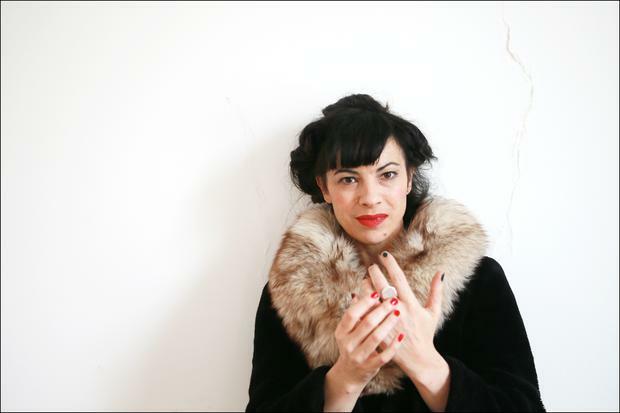 Barry also chats to singer and actress Camille O'Sullivan who talks about growing up in Cork 'a kind of schizophrenic half-French half-Irish Protestant and how she stops her life from unravelling as she runs around the world being the amazing artist only she can'. Future guests on the show include Victoria Smurfit, Louise O’Neill and Stefanie Preissner.